General Henry Atkinson's July 17, 1832 report to General Winfield Scott thus explains the origin of Fort Cosconong as it was then called. In July 1832, General Atkinson and his army of 4,000 men were trying to catch up with Chief Black Hawk and his Sauk followers who were moving up the Rock Rover -- a chase which has gone down in history as "the Black Hawk War." Frustrated with his inability to locate Black Hawk, Atkinson was forced to halt his pursuit in order to resupply his troops. While waiting for the return of the troops sent out for supplies, he had 400 of his regular army troops construct Fort Cosconong near the confluence of the Bark and the Root Rivers. An historical marker on Milwaukee Ave. marks the approximate site of the original Fort. On September 7, 1832, with the war now over, the commander of Fort Cosconong, Captain Gideon Low, was ordered to evacuate the Fort and hand it over to Chief Waponce, the Potawatomi chief who had commanded the friendly Indians serving as guides for General Atkinson. Waponce's possession of the Fort did not last long since in September 1833, the Potawatomi sold all their lands east of the Mississippi to the U.S. in exchange for western land. The Fort was abandoned after 1833 and was slowly dismantled by the weather and, after 1836, by the early settlers who used the wood for buildings and firewood. In 1841, the village growing up around the disappearing Fort was named "Fort Atkinson" in honor of the General who had the Fort built. This replica of the Fort was constructed during the years 1966-1968 thanks entirely to the determination and dedication of historic-minded community leaders and large numbers of volunteers. 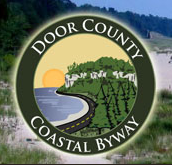 For more information on Fort Cosconong and the history of the area, visit the nearby Hoard Historical Museum located on Hwy 12 East. The replica of Fort Cosconong is located inside Rock River Park, on a park road between Rock River Park / Lillian Street (to the north) and Riverside Drive / Wisconsin Highway 106, Fort Atkinson, Wisconsin 53528. 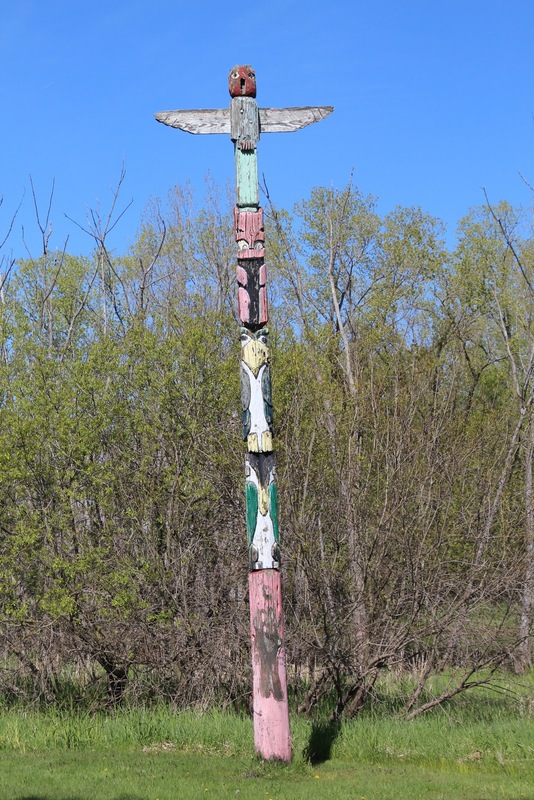 Click here to view Marker 152: Fort Koshkonong, the referenced historical marker at a nearby location. 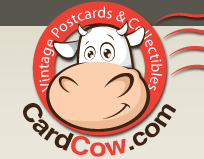 See also, Avenue of the Trees, also at this location. A very scenic location . 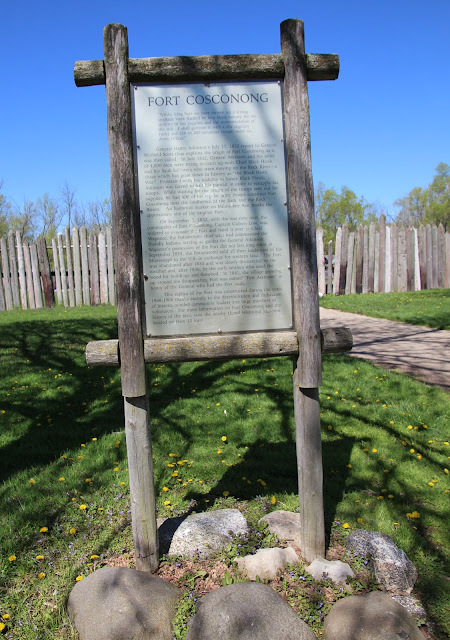 . .
Fort Cosconong is located at Fort Atkinson Rock River Park. 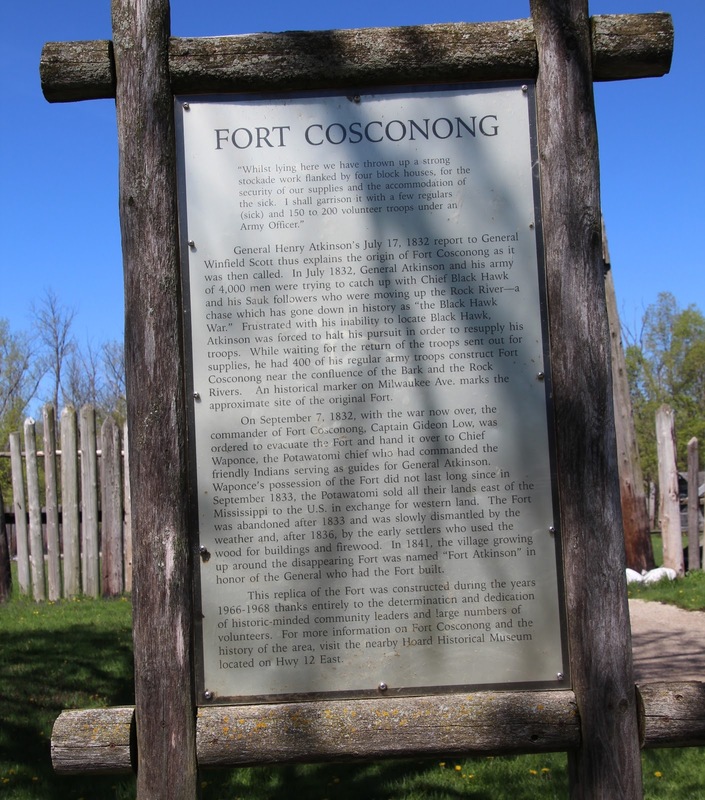 Fort Cosconong is located in Fort Atkinson, Wisconsin.